2017 marks 100 years since WJ Dawkins first registered the Newbold Sheep Stud with his flock of Dorset Horns based in Gawler River at the very same location where we continue to run our stud sheep enterprise today. The Newbold Dorset Horn flock was started in October 1917 with the purchase of 10 ewes from Mr J. B. Hughes, Woodside, South Australia. This was the beginning of one of the most influential sheep flocks in the Australian prime lamb industry. 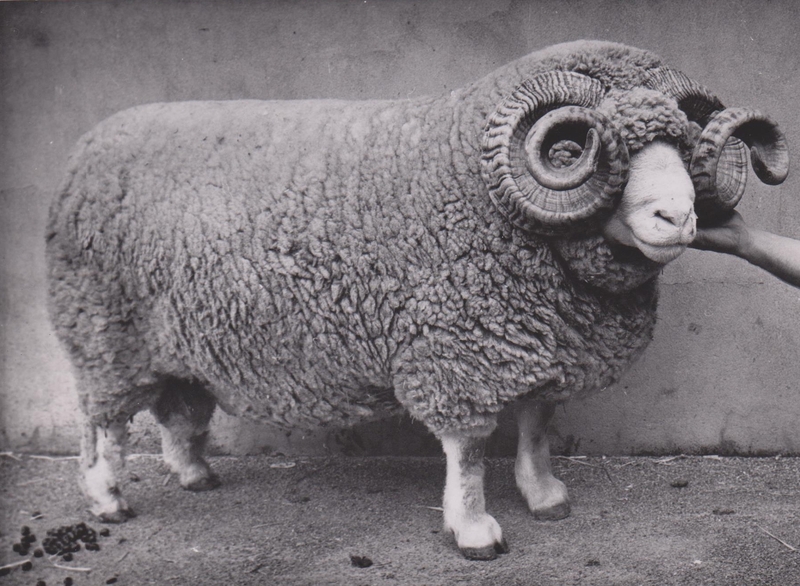 WJ Dawkins pioneered the Poll Dorset breed in 1937 when a Corriedale ram was mated with a pure-bred Dorset Horn ewe. 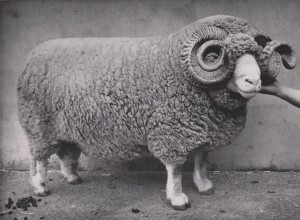 The progeny – a “good polled ewe lamb” – was mated with a Newbold Dorset Horn ram in 1940, the progeny being a polled ram lamb – Newbold Poley No. 1 of 1941. WJ continued to introduce the poll character by crossing Dorset Horns with polled breeds and then mating consistently back to Dorset Horns. Combined with rigorous culling, WJ focused on eliminating all characteristics of the introduced breed except for the poll character – mating Dorset Horn ewes year after year until 96.875% Dorset Horn blood was attained. In 1945, Newbold stud master WJ Dawkins held his first on-property sale offering 50 Dorset Horn Stud rams, 250 Dorset Horn ewes and 100 Dorset Horn Flock rams. WJ Dawkins was a founding member of the Australian Poll Dorset Association which was established on September 28th 1954. The inaugural meeting was held during the Melbourne Royal Show when WJ Dawkins, Jack Reddin (Newbold studmaster), L. A. Stuart of Valma, Whitemore, Tasmania and R. H. Wilson of Kismet, Howlong, NSW met and decided to form an organisation to record the breeding of Poll Dorset sheep in Australia. While WJ Dawkins had been experimenting in the breeding of Poll Dorset Sheep since 1937, fellow breeders L. A. Stuart and R. H. Wilson had also started experimenting in the 1940s. By 1954, after years of careful selection and ruthless and costly culling, the three breeders felt that they had produced Poll Dorsets of sufficient Dorset Horn quality to establish the Poll Dorset breed of sheep. After numerous years away from the farm working as teacher in Adelaide, Louise Close returned to Gawler River in 1966 when W.J. Dawkins retired as stud master and split the Newbold sheep stud amongst his four daughters. Louise had long been passionate about sheep husbandry and relished the chance to run her own stud under the prefix “Newbold North”. And so commenced a long and successful stud career for Louise. Louise commenced with a flock of 150 Poll Dorset ewes and these ewes formed the basis of the highly successful stud that continues to influence the Poll Dorset breed. 1974 was the year of champions for Newbold North Poll Dorsets with Louise Close winning Champion Poll Dorset Ram at Adelaide, Perth and Albury Shows with 3 different rams. This was no mean feat and was much celebrated. Bill had always wanted to be a farmer and enjoyed nothing more than spending time with his grandfather W.J. Dawkins at Newbold. After graduating from Roseworthy Agricultural College in 1976, he was very keen to commence his career in stud breeding alongside his mother Louise and grandfather. Bill continued studying agricultural economics at University of New England externally and this helped forge the expansion of the Newbold North enterprise. Bill’s enthusiasm and passion for the sheep industry have seen him become a leader in the seedstock industry. His keen appreciation of the importance of the sheep industry to the Australian economy drives him to continue his work and to pass on his knowledge to others. It is always an exhilarating feeling to win a Champion ribbon at a major show and 1979 was especially exciting for Bill to win Champion Ram at his local Adelaide Show in the same year as marrying his childhood sweetheart Angela (nee Beauchamp). In 1985, Louise travelled to England to judge Dorset sheep. She was very impressed with the dominance of the Texel breed in the carcase displays in England. So in the late 80s when LambXL started advertising in Australia, Louise encouraged Bill to visit New Zealand and view the sheep. Bill went to see the Texels in quarantine in New Zealand and was reassured to see the style of sheep there: free moving and smooth shouldered. Bill was chosen, with Graham Gilmore, as a selector for the Australian buyers. He travelled to New Zealand every year to give advice on the rams to be used for the breeding program and was astounded to see the improvement in the quality of sheep in a short timeframe. Bill believes the work done at this early stage set up the Australian flock to be some of the best Texels in the world. 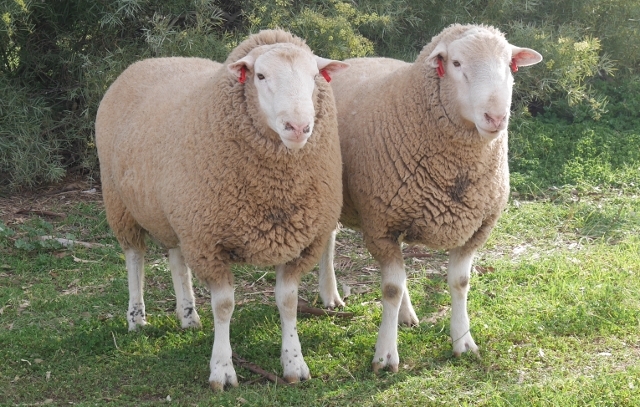 After 7 years in quarantine, the first Texels imported by the Australian Texel Corporation (ATC) were declared free of disease and were cleared for entry into Australia. The Australia Texel Corporation (ATC) brought in 956 Danish Texels and Finnish Landrace sheep. After arriving in Australia in 1993, the sheep continued to be held in isolation at a quarantine centre in Keith. As one of the chief selectors for the ATC, Bill was incredibly proud and excited to see the plane touch down at the Adelaide Airport. The inaugural Newbold Texel sale drew large crowds and resulted in the full clearance of all sheep on offer which included pure-bred Texel rams and ewes as well as the Texel/Poll Dorset cross that Bill dubbed the “Texset”. Newbold continue to offer Texel and Texset rams at their annual on-property sales each year. The Newbold White Suffolk flock was founded in November 2000 when a Ella Matta ram 131/95 was mated to ewes from the Newbold Poll Dorset and Texel studs. Only progeny showing true Suffolk type, good muscling and no colour were retained. With a focus on breeding early maturing, high performance sheep, our White Suffolks have gone from strength to strength since our first drop of lambs in 2001. 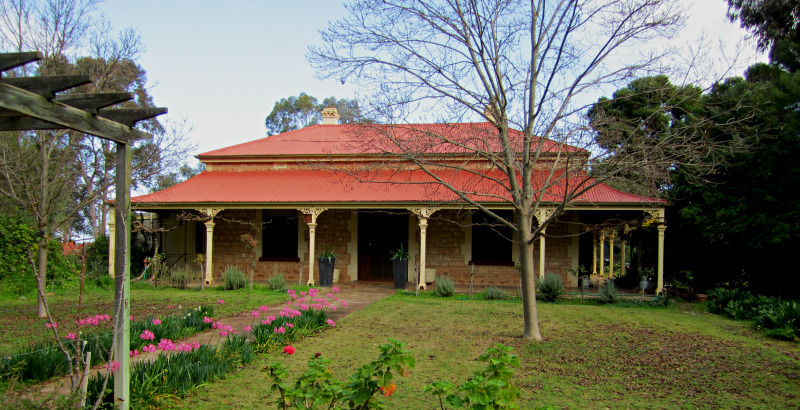 After several years living interstate, Bill’s daughter Kate and her fiancee Craig McLachlan moved back to Gawler River in 2009 and were married later that year. Kate had always shown a keen interest in the sheep stud and welcomed the opportunity to return to the family farm. Craig quickly became involved with the sheep and now works alongside Bill with a focus on exploring innovative and efficient work practices. Kate has over a decade of Sales & Marketing experience, including 5 years in the Marketing Team of Australian agribusiness Elders Rural Services, and is now responsible for the Newbold Sheep Studs marketing activities. In 2011, Bill, Angela and family purchased the original Newbold homestead and 300 acre block from Bill’s Aunty Pat Barkley. This property has been in the Bill’s family since the 1860s. The homestead was built in 1873 by Bill’s great-grandfather Samuel Dawkins. Sam was the father of original Newbold stud master W. J. Dawkins and subsequently, Louise Close’s grandfather. Both W.J. and Louise grew up in the Newbold homestead. Craig, Kate and their 3 children now live in the homestead and they, along with Bill and Angela, are immensely proud to be continuing the family tradition. 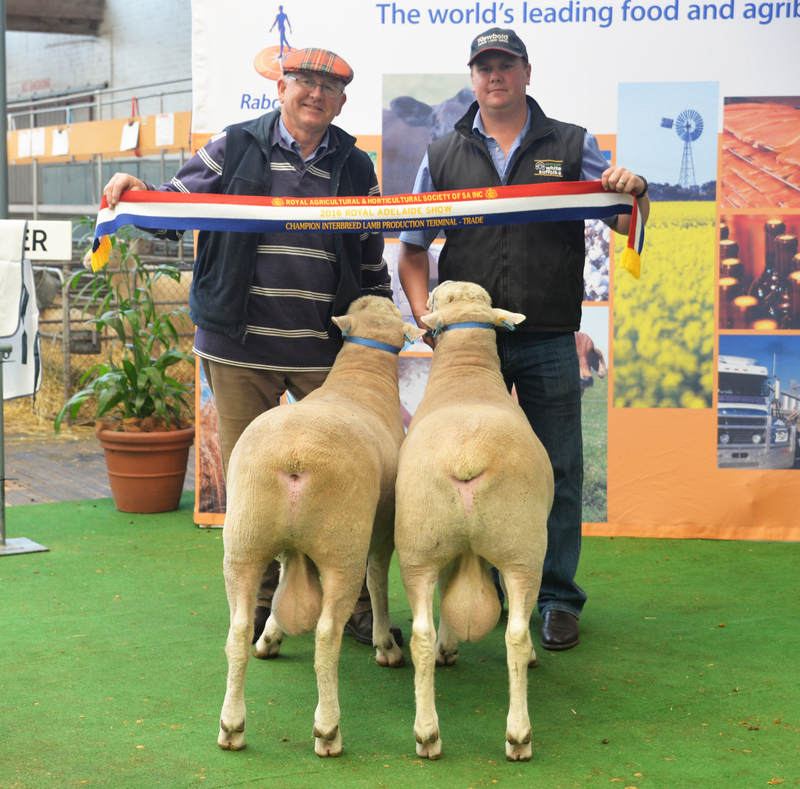 A pair of Newbold White Suffolk rams were awarded the Interbreed Lamb Production prize at the 2016 Royal Adelaide Show. Bill and Craig were absolutely thrilled to receive this award. 2017 marks 100 years since the Newbold stud was first registered by W.J. Dawkins. It is with great pride that we continue to breed top quality prime lamb and stud sires.